Provide comfort for the family of Anthony Owens with a meaningful gesture of sympathy. 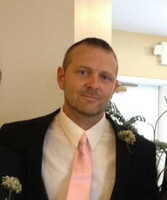 Anthony “Tony” Wayne Owens, 44, husband of Melissa (Sparrow) Owens, passed away Saturday, February 2nd, 2019. He was born May 29th, 1974 in Lexington, Kentucky, son of Bonnie Barnes (Earl) West and Bruce (Earlene) Owens. Tony was a member of Trinity Assembly of God Church and he enjoyed body building, boating, four-wheeling, hunting and he was very artistic. In addition to his wife, parents and step-parents, Tony is survived by his daughters, Taylor Leighton (Austin) Anderson, Ashten Nicole Owens and Blake Elizabeth Owens; his granddaughter, Kamryn Grace Anderson; his brother, Bruce (Chanda) Owens Jr.; his nephew, Nicholas Owens; his step-sister, Jaime (Randy) Green; three step-brothers, Jeremy West, Josh West and Joe Dixon; his mother-in-law, Connie (Lee) Greer; his father-in-law, Joe (Betty) Sparrow; his brother-in-law, Jeremy (Chrissy) Sparrow; numerous aunts, uncles and cousins. Visitation will be Tuesday, February 5th, from 5 to 8pm at Johnson’s Funeral Home. Services will be held at 11:30AM on Wednesday at Trinity Assembly of God Church, 1220 Cincinnati Road with Pastor Carl Kelleher officiating. Burial will be in Crestlawn Memorial Gardens. Serving as pallbearers will be Ted Porter, Archie Barnes, Ronnie Barnes, Austin Anderson, Danny Owens, Rusty Ruth, Jeremy Sparrow and Brother Owens. 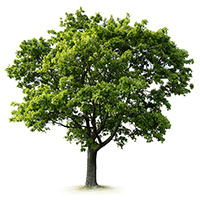 To plant a memorial tree in honor of Anthony Wayne "Tony" Owens, please visit our Heartfelt Sympathies Store. May God's Blessings be carried in this memorial. We will miss The Tile Guy and the great work he provided. My condolences to the Owens family at this time of loss. Losing the ones we love is never easy. May you be comforted in knowing that now Tony is asleep with the prospect of returning to life at a time when all causes of suffering, pain, sickness, and even death are all things of the past. (John 5:28,29; Revelation 21:4) Hold on to all your happy memories and let them along with these promises from God bring you comfort and peace.